NCUA board members explain Thursday's vote and credit union officials react to the news. Reporters meeting with NCUA board members. 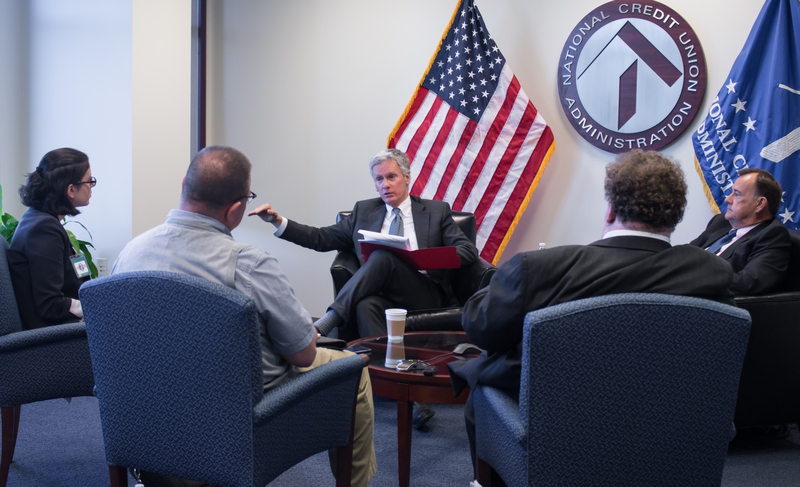 Photo from NCUA.